Do you know any men who read romance novels? Recently, I received a few emails from men who’d read my contemporary romance novels. They said that they liked my writing and that they were looking forward to reading my other books. One of them said that he really liked the way my story moved. He went on to say that he really enjoyed the suspense in Shades of Chocolate and that he was getting ready to start reading Sweet Dreams. He even mentioned his age: thirty years old. The other men who contacted me were senior citizens. It was interesting to hear from some of my male readers. Whenever I imagine a romance reader, I envision a female opening up a book and being mesmerized by the vivid romance story. I’d imagine this woman would be any age between a teenager through her sixties, possibly older. I’d think the younger romance readers would be reading novels on their Smart phones or their Kindles. Nowadays, I’d imagine a good number of the female romance readers would also like to watch romance movies, too. A lot of them are probably fans of the Hallmark Channel – which would make sense since Hallmark is now publishing romance novels. I always think about men reading science fiction, mystery, suspense, horror, or maybe westerns. So, what’s your opinion? Do you know any male romance readers? If so, please tell me about them! Why would a man enjoy reading a romance novel? If you are a man who reads romance, please respond and tell us why you read it. Thanks so much for commenting. One male romance writer who uses a pseudonym is Harold Lowry. He writes under Leigh Greenwood and he’s a past president of RWA (Romance Writers of America). That’s the only male romance author whom I can think of. If I think of any others, I’ll let you know! Hi Cecilia, oooh, this is unusual for me!! I have to admit that I do not know any men who read romance, who would let alone consider reading a romance!! Why not though hey? It might give them more of an insight into the female mind!! Yes, I agree. It would give them insight. I think most men think if romance novels as stereotypical relationship books. But, some of those novels can be just as exciting as mainstream/women’s/men’s etc. fiction! I’d imagine some men may enjoy reading a good romantic suspense – that is, if they are brave enough to give it a try! Hi Cecilia! Delightful insightful blog. 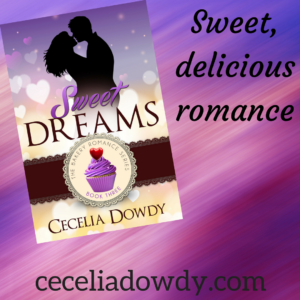 Growing up with a father, brother, husband, 3 sons, and now 2 grandsons; none read romances. My husband prefers science fiction. My sons with the demand of their jobs have little time for outside reading. I am with Anke, I was surprised that T.K. Chapin was a male. I enjoy his style. In Michigan, just became aware of Viola Shipman, a male author who writes women’s fiction – The Charm Bracelet, The Hope Chest, and his newest release The Recipe Box. Viola was his grandmother, who inspires his stories. Looking forward to reading the responses today. Best wishes. Happy writing. Hi, Renate! I’ve never read TK Chapin or Viola Shipman. I’ll need to keep them in mind. I have heard of TK before! Don’t know any men who read romance novels…. Hi, MUSH! Thx for responding! No, I don’t know any men who read romance novels, but I know several that watch Hallmark movies. I didn’t realize that men watched those Hallmark Movies! Interesting! I also don’t know of any men who read romances. Here in rural Kentucky, if a man did read them he’d probably keep it very quiet! My husband doesn’t read much. He jokes that he likes to read one book a year. He enjoys the Dresden Files by Jim Butcher and books (and movies) along that line. He’s a big fan of vampire movies. So you can see our tastes are significantly different. I also try to compensate for his lack of reading by reading a book a day! I heard of a study once that said that women read more than men, so, your comment does not surprise me! LOL, this could be an interesting day here….glad you brought up the subject, Cecelia! I don’t know any male readers of romance! Hub is not a reader, but when he does read, it is mostly non-fiction Christian books by pastors. I am an avid reader and like to switch over often to read male authors like Dan Walsh, Richard Paul Evans, Robert Whitlow, etc. but do not consider them romance writers. My husband does not read my romance novels. I seldom see men read them, although I realize they do read them (at least a little bit). Most of my readers are female. 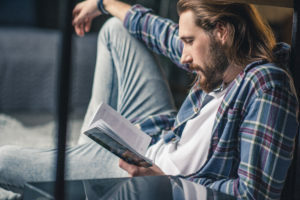 Your comment about non-fiction brought something to mind – I’ve noticed a number of Christian readers are unaware of Christian fiction or, they simply do not read it because they only read stuff that’s true. Not sure why that’s the case, but, I’ve heard it often enough. I think Nicolas Sparks is categorized as a romance novelist, however, I believe I’d heard somewhere (not sure if this is accurate) that he doesn’t consider himself to be a romance novelist? He might not want to be known as a romance novelist because romance is not always respected in the book world? Not sure! I don’t believe I’ve read Dan’s, Richard’s or Robert’s books, but they are familiar names to me! I’ve met some of these authors, so, I’ll need to give their books a try! My husband used to read romance novels. His two favorites were Lori Wick’s Sophie’s Heart and Pretense. I’ve lost track of how many times he’s read those. He doesn’t read romance anymore though. He stopped around the time I started writing it. Hi, Kimberley! Wow, he read those books over and over? They must’ve been outstanding! I actually have had a couple of men say they were reading my book. One was my Sunday School teacher to support me. The other was a fellow Indie author who was not even a believer. He just downloaded a bunch of Indie books to support us all. I was amazed he actually read the whole thing. But he didn’t like the tropes or the spiritual threads. My husband will watch romantic movies with me, and although he doesn’t read them, he began reading my first book. He didn’t finish it, though (he has a habit of not finishing books, which drives me crazy). But by and large, my audience is definitely women. Hi, Lila! Oh my, your hubby doesn’t finish reading books? Shame on him! LOL! Thx so much for responding! Hi, Brenda! Really? That’s so awesome! Several men comment here on Inspy Romance often enough I know some read this blog! As an author, I’ve had emails from male readers. I’d estimate 3-4% of my readers are men. There’s a middle-aged couple in my church where she reads to him every evening, and they’ve read all my books. He stops me sometimes to tell me about parts he particularly enjoyed or asks when the next one will release in a particular series! Wow, Valerie! It must be nice to interact with one of you male readers in person! Well, my husband reads a lot of romance novels! He’s read all of Carol Moncado’s, most of Valerie Comer’s, a lot of Jenn Faulk, and many more – usually on my recommendation. On the topic of male romance writers, I think Davis Bunn fits in that category. Not all his books are Christian romance, but he does a great job on the romantic parts of the stories. Hi, Margaret! I believe I’ve only read one book by Davis Bunn. It was called the Birthright and he coauthored it with Janette Oake. I don’t recall a whole not about it since I read it a long time ago. Since he paired up with a female author, and some of Janette’s books have romance threads, I can imagine that Bunn may fit into that category! Margaret, I agree re. Davis Bunn. He’s one of my father’s favourite authors, and my dad also likes reading Christian historical romance. He’ll call me and ask ‘Have you heard of this author?’ I do think more men read romance than we realise. Narelle…so your dad reads historical romance? How nice! So great that he asks if you know the authors, too! I think my very favorite Davis Bunn book is The Book of Hours – good mystery, good romance! Hi, Mimion! Yes, once you finish your book you should see if your husband will read it! Happy writing! I know my father in law checked one out of the library not realizing it was a romance. :) He enjoyed it though. I think it’s very cool that men are contacting you regarding your books. That’s awesome. Hi, Lindi! Hopefully your father-in-law will read more romances since he enjoyed the one that he checked out of the library! Yes, it is cool to hear from male readers! My dear friend, Rel Mollet, brought your post to my attention. Im a middle-aged bloke who happily reads romance novels. I’m an author who writes speculative fiction but read a great variety of genres these days. I studied Romantic fiction at uni along with my economics degree and so grew up reading all the classics, Austen being a favourite author of mine. Why read romance novels? Well, we are all part of a great romance of God redeeming each of us to Himself. There have been such marvellous heroines: Lizzy Bennet, Tess Durbeyfield, Maggie Tulliver … rich in their strength and vulnerability. Certainly, I’ll always gravitate to a great suspense or thriller novel but I’ll read all flavours of romance and as you can expect romantic suspense is my preferred romance genre as I get the fast pace with some romance thrown in. Lisa Harris is a fabulous exponent of this genre. Contemporary and historical romances also appeal – Amy Matayo, Pepper Basham, Kara Isaac, Andrea Grigg write compelling stories with wonderful characters. Being a fan of a good rom-com movie I’m excited to see the developments in this genre in the years ahead. Melisa Tagg is a beaut exponent of the genre with her small-town adventures. There are so many more great authors who I still haven’t got to and hopefully one day I’ll manage to get to least 1 of their stories. Oh, wow, Ian! It’s so cool of you to leave such a nice, thought-provoking comment! How did you happen to study Romantic fiction along with your economics degree? I’m assuming you loved the genre so much that you just had to study it, but, with economics – what an unlikely, yet unique study combo! My landlord who was 84 at the time loved the 1980s historical romances. When he ran out of his own he started borrowing mine!!! Without my knowledge. I saw him reading my fave author and commented on how good she is. Lots of history in her romances. So I checked my shelves and there were gaps. And some of my brand new books were showing broken spines. So i had to have a talk with him about taking my stuff. I’d give him the used ones already damaged by previous owners. Hi, Lorie! Thanks so much for posting here! I really appreciate it! Wow, he really loved your romance novels – so much that he took them without asking! LOL! Good thing you set him straight! Some years ago, I received an email from a soldier stationed in Iraq. He read one of my novels that came in a care package. I corresponded with him and sent another care package with several more novels. He told me my story related to his current love life. Wow, that’s great! It was also nice of you to send another care package. It’s always nice to hear from folks in the military. You know, your comment brought something to mind. I heard from a male reader in prison some years back. He sent me a really long letter. He told me all kinds of stuff. Anyway, he was writing to me because they had my Love Inspired at the prison. He’d read it and enjoyed it. He even asked me to send him more books. I was going to send him more books, but, my husband discouraged me from doing so. The only men who’ve read my books that I know of are a few relatives and one man who was our church member’s neighbor. I think it’s great you have male fans. But I’m with you, I figure most men read science fiction, speculative, or westerns. My husband reads nonfiction. And my dad isn’t a reader. But he loves western movies. Hi, Shannon! Ahhh…yes, westerns! Another male-dominated genre! Hi, Aerykah! That’s so awesome! Thanks for commenting!